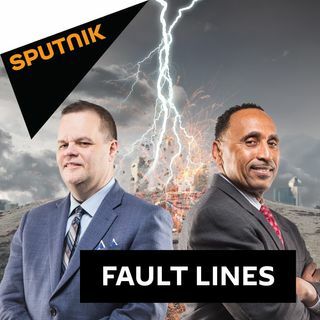 On this episode of Fault Lines, hosts Garland Nixon and Lee Stranahan discuss the danger of censorship in the modern political age. US Air Force Veteran and triple amputee Brian Kolfage recently had his pages removed by Facebook, and he will detail his story and fight for free speech with social media companies on today's show. The murder of Jamal Khashoggi has muddied the waters regarding relations between the United States and Saudi Arabia. Journalist and author Daniel Lazare joins the show to discuss how the US has contributed to the current situation in Saudi Arabia and if the Trump administration needs to re-evaluate its relationship with the Saudi Royal Family and Crown Prince Mohammad bin Salman. The highly charged political atmosphere appears to be in overdrive as partisan divides are on full display heading into the midterm elections. Jim Kunstler, an Author, Public Speaker, and Social Critic, returns to the show to discuss the current political situation and why both the media and public always seem to be on to the next story regardless of its importance. For the final segment, investigative journalist Rick Sterling joins the show to discuss how many members of the Western Media have uncritically promoted the group known as the 'White Helmets'. What is the purpose of the 'White Helmets', and how have they served to promote propaganda coming out of Syria?